In memoriam / Captain the Rev. 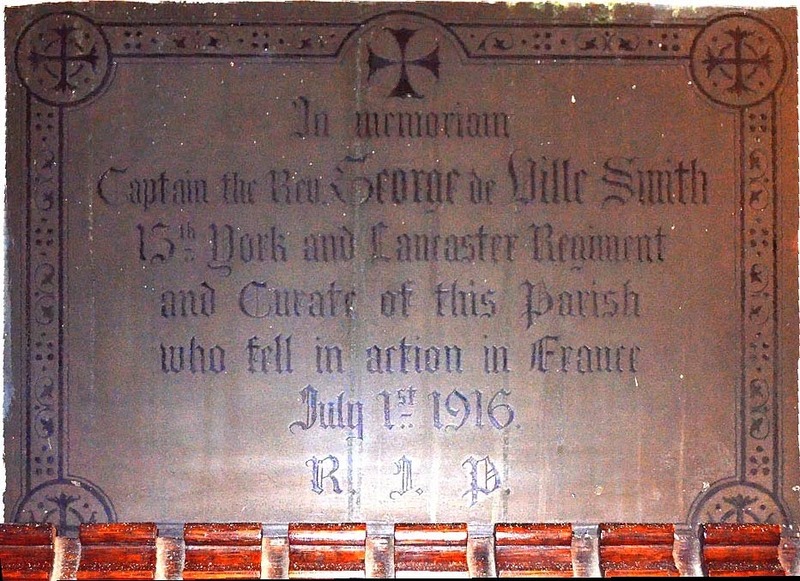 George de Ville Smith / 15th York and Lancaster Regiment / and Curate of the Parish / who fell in action in France / July 1st 1916 / R. I. P.
There is some information on George de Ville Smith here. He is buried in Euston Road Cemetery, Colincamps, France and remembered on the Commonwealth War Graves Commission website.